Sangeeta Metal is one of the leading Manufacturer, Supplier and Exporter of Nickel 201 Round Bars that are actually manufactured from High Quality of Standard Raw Materials andare designed as per with national and international standards. 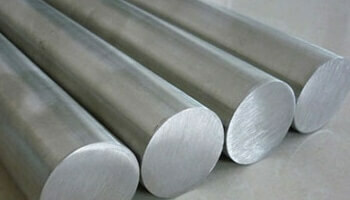 Alloy 201 Bars is a high purity nickel alloy commonly used for electrical resistant thermometers. UNS N02201 Round Bars is commercially pure wrought nickel, essentially same as Nickel 200 but with a lower carbon content to prevent embrittlement by intergranular carbon at temperatures over 600 Deg F (315 Deg C). Lower carbon content also reduces hardness, making these WNR 2.4068 Bars particularly suitable for cold-formed items. We offer these Nickel Alloy 201 products in custom-made shapes and sizes as per the requirements given by our clients, and that too at an affordable and market leading prices. JIS NW 2201 Threaded Rods Dealer in Brazil, Nickel Alloy Bars in Tanzania, Nickel Alloy 201 Hex Bars in Ethiopia, Nickel 201 Flat Bars, Polished Rods Supplier in Africa. Length : 100 mm To 3000 mm Long & Above.